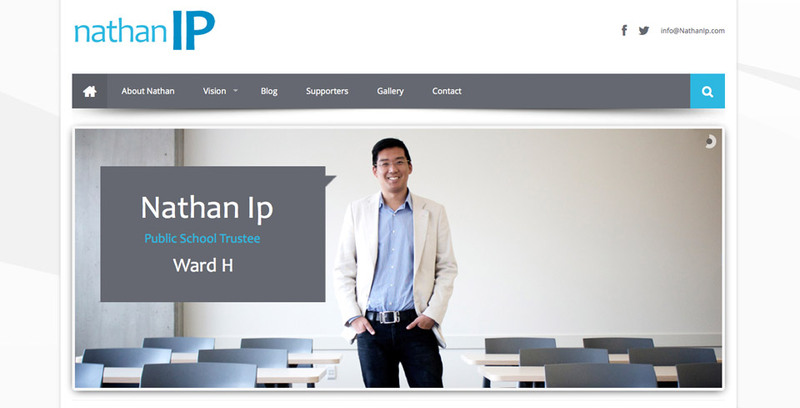 For this political campaign, Mike was in charge of putting together a professional web site for Nathan Ip, Edmonton Public School Trustee. Mike also shot and edited a video for this project. Overall, the campaign was a huge success. 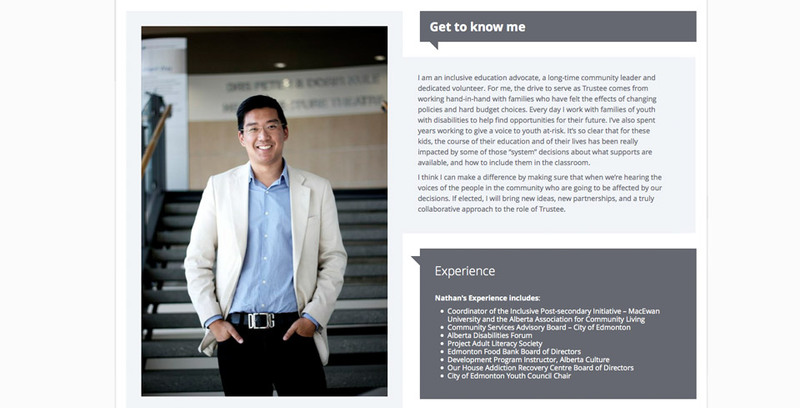 Nathan’s professional photos were taken by Mike’s associate, Tyler Blackwood photography.